This next clip isn't for the faint-hearted. 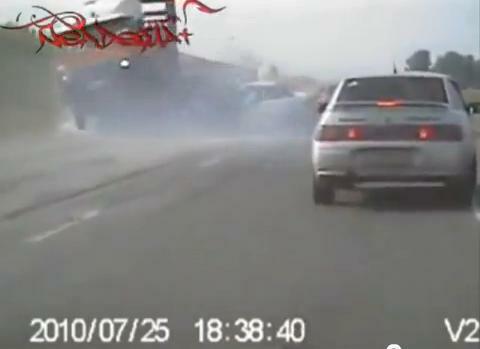 An impatient driver somewhere in Russia, driving a white compact sedan, decided to overtake two or three cars. Travelling at high-speeds in between both lanes, it seems as if the driver lost control at the last minute and smashed straight into an oncoming lorry. Judging by the severity of the impact, we wouldn't hold our breath for any survivors in the white sedan.